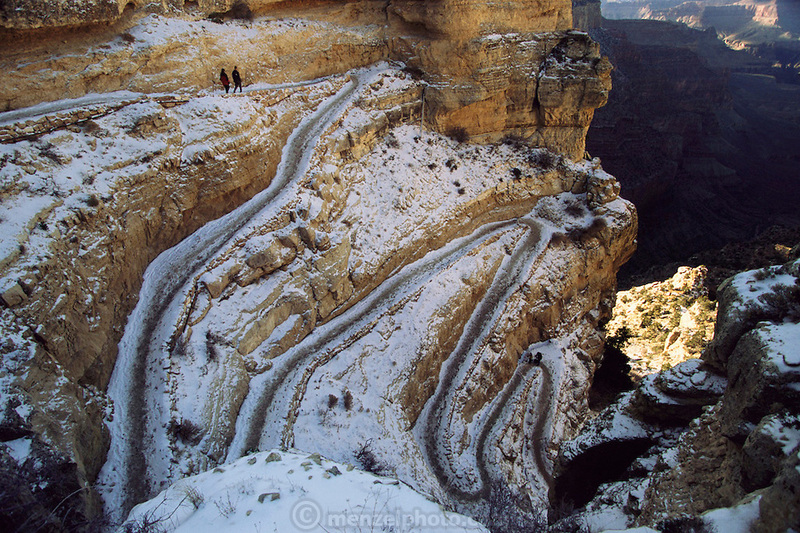 Beginning descent of the South Kaibab Trail of the Grand Canyon, Arizona, in winter. Grand Canyon National Park encompasses 1,218,375 acres and lies on the Colorado Plateau in northwestern Arizona. USA.